Most spectators would be wowed by the exciting car racing in 2015 Bahrain F1 Grand Prix held on April 19, 2015. But behind the cool racing drivers and magnificent racing cars were those support vehicles that were deployed to ensure the smooth running of the racing. Those support vehicles include fire trucks, forklifts, tow trucks and safety cars. Although they do not look so smart as racing cars, they play an important role in the emergency situation and the normal operation of the circuit. 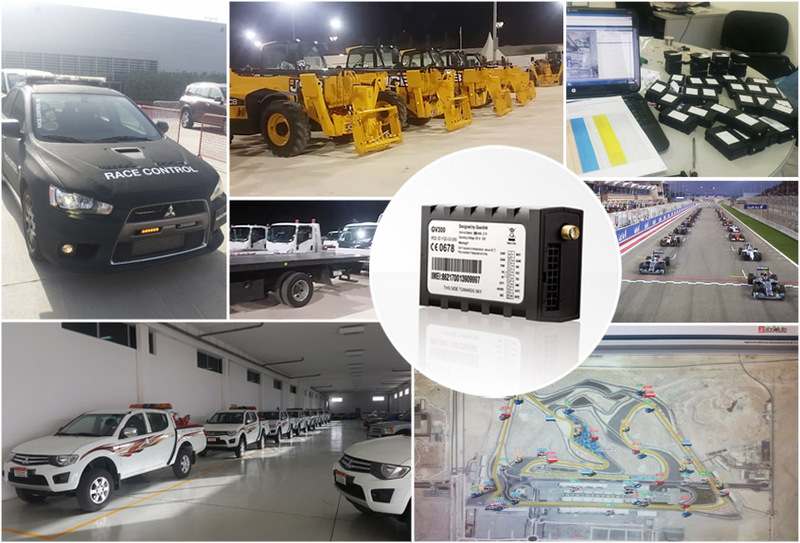 To improve the management of those support vehicles, the sponsor of the 2015 Bahrain F1 GP adopted the solution delivered by Absolute GCC which employed Queclink’s GPS tracker GV300. GV300 is a compact GPS tracker that can be installed easily and covertly on the vehicles. The device will report the GPS position of the vehicle in real time or periodically to the backend server so that the workers in the monitoring station can locate and track the route of the vehicle via the tracking platform. In an emergency, the fleet manager can spot the nearest vehicle and notify the driver to rush to the scene. For example, should there be a fire, the nearest fire truck will be sent to the scene in the shortest time so that the losses could be reduced. GV300 can also help the dispatchers monitor the drivers. If a vehicle is dispatched for a task, the dispatchers can know whether the vehicle has arrived at the designated destination. Moreover, the device can prevent vehicle theft. The fleet manager can set a geo-fence around the circuit so that if a vehicle runs out of the circuit, the fleet manager will be alerted instantly. The cooperation with Bahrain F1 is a recognition of the high quality and reliability of Queclink’s GPS trackers. To learn more information about GV300, please visit http://www.queclink.com/GV300. You can also see the video at https://youtu.be/TZ1lfcJ-4Rs.